Suffering from shortness of breath? A persistent cough? The source of your health issues may be closer than you think. It’s true — the place we call “home sweet home” is usually not as healthy as we imagine. When a homeowner thinks about their home’s “health”, they tend to only consider factors visible to the naked eye such as plumbing issues, pests, and problems with the structural integrity of the property. While all of these are indeed serious issues worth addressing, they’re not the only health hazards found inside a home. In fact, hidden dangers like asbestos, lead, and mold not only negatively affect the health of your property, but more importantly, they can drastically diminish the health of you and your family. Luckily for homeowners, a number of laws and regulations, including the Toxic Substance Control Act of 1976, have been passed in the U.S. to limit the presence of asbestos and lead in homes. Limiting what products these materials are in and regulating how they are disposed of has made a positive impact on contamination and exposure in homes built after 1976. However, many homes built prior to such regulations are still very much at risk. Additionally, while federal law requires disclosures about asbestos and lead paint, there are no governmental standards for mold levels inside of a property. Asbestos is a naturally occurring mineral, which was once considered a “miracle” material due to its durability and insulating properties. The toxin was heavily used for commercialized products for decades across a wide variety of industries, and was especially popular in the construction of homes and buildings for its resistance to heat. Although there are a countless number of products which potentially contain the toxin, there are certain materials and areas in an older home where asbestos is often found. It is challenging to detect asbestos without a lab test or a trained eye, but it is very likely that buildings and homes built before 1980 contain the toxin. Asbestos was often used in ceilings, flooring, siding, insulation as well as adhesives, like cement. 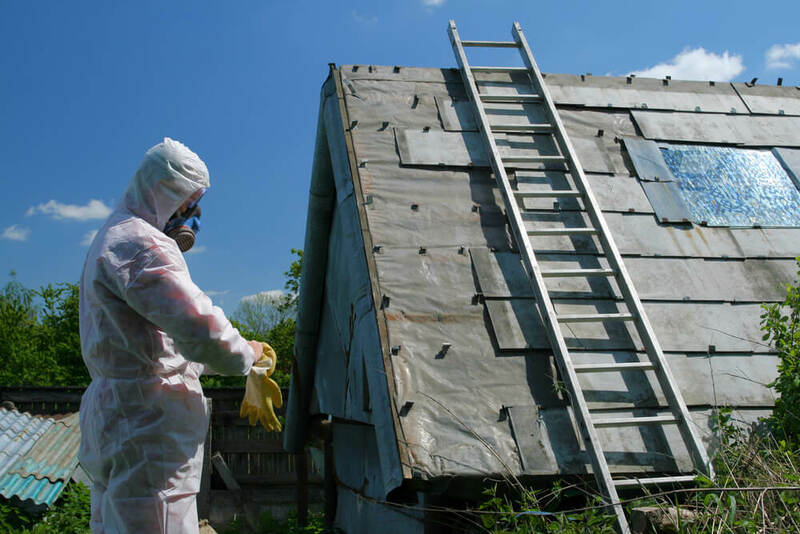 Although asbestos-containing materials are not limited to any one area of the home, bathrooms, basements and attics are commonly found to contain asbestos. In the basement, the material likely surrounds water pipes, furnaces, and boilers. Asbestos insulation is often found in attics, while older bathrooms may contain asbestos flooring, such as certain tile and vinyl. Asbestos is no immediate danger unless the material is disturbed, perhaps during a home renovation, side project, or even a natural disaster. If asbestos is damaged, the fibers release into the air and could cause serious health complications such as the respiratory disease asbestosis and cancers. The inhalation or ingestion of asbestos fibers can result in the most serious and aggressive condition, mesothelioma cancer, which affects the internal organs and has a very poor prognosis for most patients. 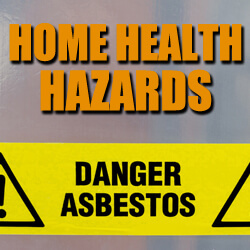 Other than homeowners, asbestos is an occupational hazard that puts workers such as firefighters, contractors, and veterans most at risk of developing an asbestos-related illness. If you suspect that areas in the home may have asbestos, leave the space untouched and call a professional for an inspection. If the analysis is positive, professionals may recommend leaving the area alone if the materials are in good condition or having them removed if not. By taking the time to inspect your home, you are safeguarding the health and future of your family. Another potential health hazard inside of your home is mold. Mold is a type of fungus, found both indoors and outside, that reproduces by the formation of mold spores that travel through the air. A recent University of Arizona study found that 100% of homes contain some sort of mold. Now before you panic and immediately call a mold remediation specialist, it’s important to remember that mold spores are actually found everywhere in the environment, but just like all living things, they need water and food to grow. Aspergillus – the type of mold seen on starchy foods like potatoes and bread, aspergillus is luckily rare in indoor living environments like homes. However, three types of aspergillus species do in fact thrive in residences: Aspergillus niger, Aspergillus flavus, and Aspergillus fumigatus. Cladosporium – commonly seen as green, brown, or black-colored mold, indoor cladosporium mold species usually grow on surfaces where moisture is present. Cladosporium is commonly found on the back of fiberglass air ducts, painted surfaces, and toilets. Penicillium – penicillium is often seen on spoiling or rotting food, but can also be found growing on your carpet, inside of old mattresses, or on old or upholstered furniture. 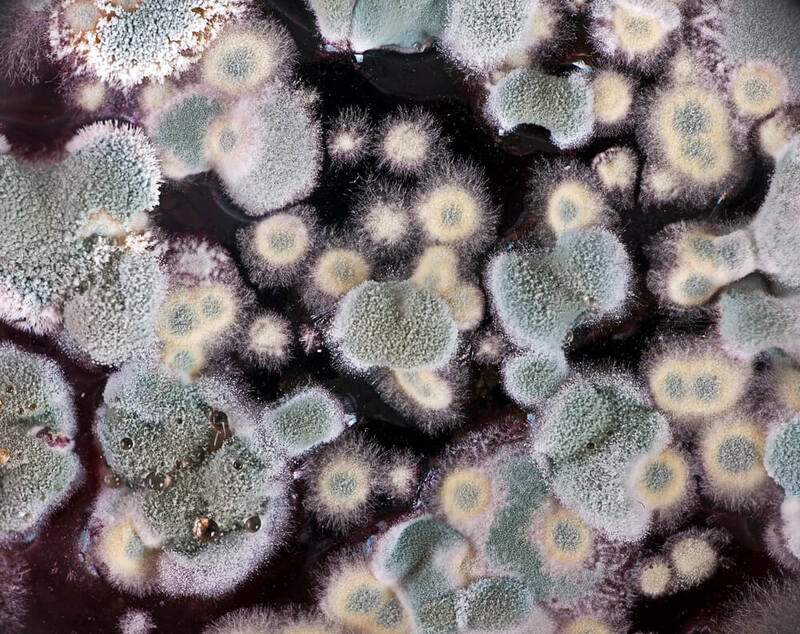 Stachybotrys chartarum – Also known as toxic black mold, this species of mold is the most dangerous to humans. It is often found in homes that have sustained flooding or water damage. Toxic black mold is the most concerning, but all of these species of mold have the potential to cause you and your family all sorts of health problems including asthma, allergies, runny noses, dry eyes, coughing, or respiratory issues. Mold has the potential to affect anyone, but those most susceptible to health problems include infants, the elderly, people with compromised immune systems, and those with respiratory issues. Paper-faced drywall – drywall is both the most commonly used material in newer homes and the most susceptible to mold. This is because paper can’t hold moisture at all, making it a perfect breeding ground for mold growth. Solid lumber – this building material is common in older homes and buildings and because it can hold a large amount of moisture, mold growth is not common. Brick – bricks are similar to sponges in that they can soak up large amounts of water and moisture, meaning that structures built with brick rarely have mold problems. Plywood – due to the fact that plywood is not able to hold moisture as well as lumber can, it is much less adept at avoiding mold growth problems. Particle board – mold and fungi are drawn to particle board, which is cheaper than plywood. In addition to these building materials, it’s common to discover mold in other areas of your home including inside attic insulation, near plumbing leaks or water damage, and on carpets. 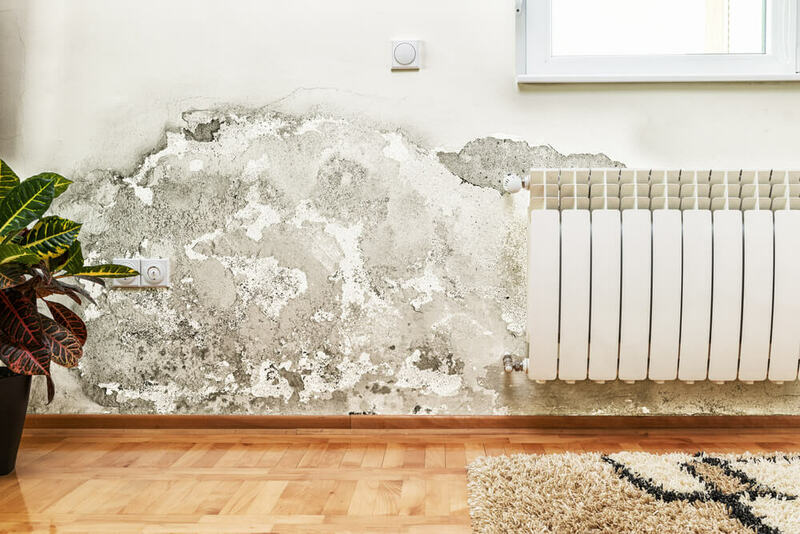 You’re also likely to find mildew or some forms of mold in humid areas of your home like bathrooms, the kitchen, and rooms found below ground floor. Given all of the places inside of a building mold can hide as well as the fact that there aren’t many laws or regulations regarding mold levels, it’s extremely important for homeowners (as well as rental property tenants) to watch for some of the common signs of mold in a home such as water spots, peeling wallpaper, water damage, musty odors, and dark spots on drywall. If you think you may have mold or are certain that you do, it’s best to contact a certified mold remediation specialist immediately so that they can remove any mold infestation safely, effectively, and completely from your home. Lead, similar to asbestos, is a naturally occurring toxin which is formed within the earth’s crust. The toxin can be found within all parts of the environment, including the air, soil, and water. Lead is primarily utilized in burning fossil fuels, and is often found in batteries, ammunition, and other metal products. Although federal and state regulatory standards have helped minimize or eliminate the amount of lead in consumer products, lead is still no stranger to the home. The toxin can be found in many common household products, but most notably in older paint and pipes. 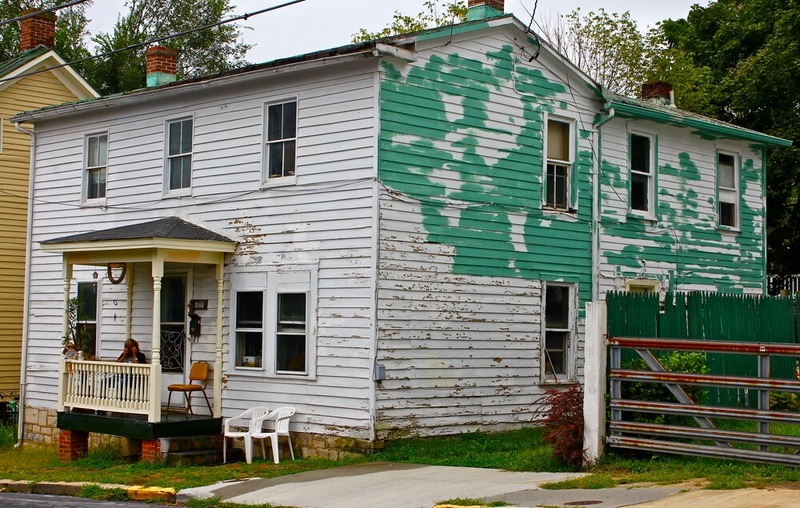 Until 1978, lead paint was frequently used on the interior and exterior of homes and is currently one of the most common sources of lead exposure. Residential paints today contain no lead, however, according to the EPA, roughly 80 percent of homes built before the regulations were established contain the toxin. Similarly to lead paint, most pipes found in older homes also have some level of lead. Lead piping was popular for its malleable properties and ability to resist pinhole leaks. As a result, lead piping can be found in nearly all homes built before the 1980s. Despite government regulations, there is still serious risk of health complications as a result of lead exposure. Lead poisoning affects many systems within the body, including neurological, hematologic, gastrointestinal, cardiovascular, and renal systems. Common sources of lead poisoning, especially among children, include contaminated drinking water (think Flint Michigan) and the ingestion or inhalation of lead paint chips and dust. Children in particular are especially vulnerable to the toxicity of lead. Lead exposure among children has been associated with delayed puberty, decreases in cognitive performance, and increased behavioral problems. Even extremely low exposure can be serious to a child, and in some cases lead to irreversible neurological damage. If you live in an older home, and suspect the presence of lead, consider calling a trained professional to test and survey the area. You can lower the chances of exposure by inspecting and maintaining all painted surfaces to prevent paint deterioration, staying mindful of water damage and quality, and keeping the home clean and dust-free. Painting over old lead paint and removing hazardous building components, such as old pipes, can also help prevent lead exposure. Preventive maintenance goes along way in preventing some of the serious health problems previously mentioned. When diagnosing and then dealing with potential dangers inside a home like asbestos, lead, and mold, it’s important to know both the year the property was built as well which building materials were used for its construction. If you know for a fact that your home was built before 1978 or if you’ve lived in your house for decades without an inspection, it’s essential that you gets your pipes, paint, and insulation checked by certified professionals because you may be exposed to asbestos, lead, or mold issues that you never even knew existed. Even if you reside in a home that was recently built, it is still important to have your property inspected because as stated earlier, newer homes are actually constructed with materials like drywall more susceptible to mold. For a FREE mold inspection, contact a local 911 Restoration branch near you today!